Our massage therapist has been doing our guest massages for years now. She is very professional and does a great massage. 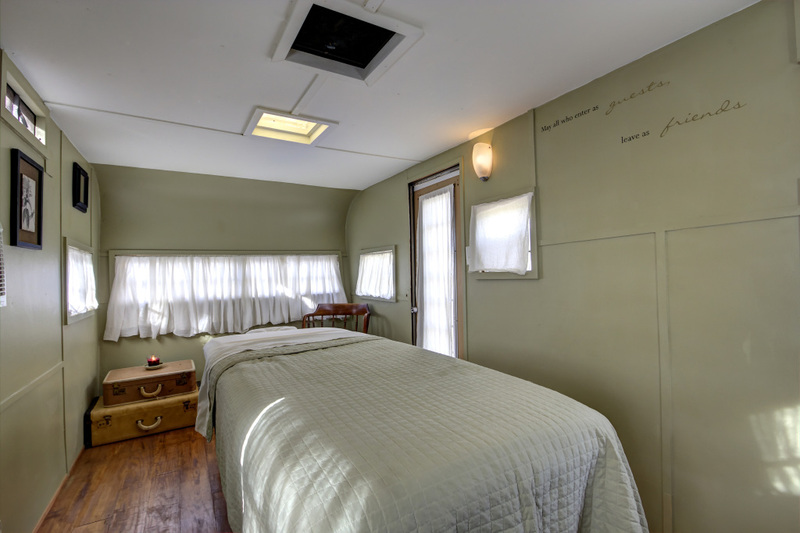 We have a cute little vintage travel trailer that we turned into our massage room. Only one guest at a time can get the massage, but the other person is welcome to stay in the room if they feel more comfortable. You are covered well during your massage, and only have to get undressed to your comfort level. Your back will be uncovered to get that really deep massage that usually starts off the time with the therapist. You can request to only have your back, legs and arms done and never turn over if you prefer. For me, I want the whole deal, so I am stripped to the skin and enjoy the whole process of a massage. If you prefer to keep your undergarments on, that is fine also. If you are coming to stay with us, I highly recommend that you let us set you up with a massage, it will have you so relaxed, then jump in the hot tub enjoy a glass of wine and you will be ready for a great nights sleep.